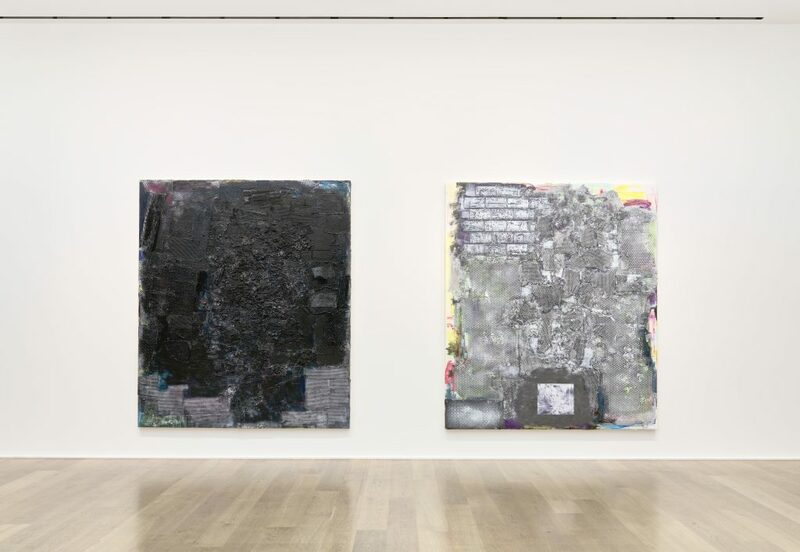 Hauser & Wirth is pleased to present Jack Whitten’s first-ever solo exhibition in London and the gallery’s inaugural project with the artist in the United Kingdom. 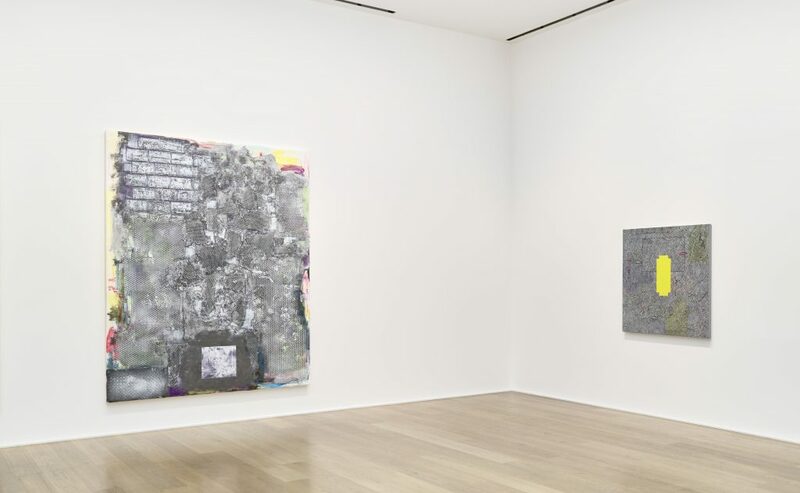 Whitten is an American abstract painter celebrated for his innovative transfiguration of paint in works equally alert to materiality, politics and metaphysics. Mentored by both Willem de Kooning and Norman Lewis, with a career spanning five decades Whitten holds a unique place in the narrative of postwar American art. 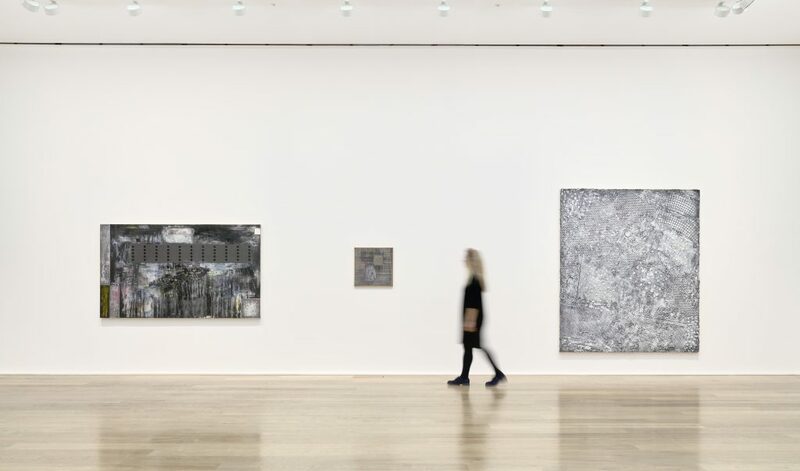 Curated by Richard Shiff, this presentation has a historical focus, bringing together a large number of Whitten’s paintings from 1979 to 1989. These years marked a period of intense experimentation for the artist and reflect his intellectual engagement with contemporary changes in science and technology. Whitten’s work is a focus of ‘Soul of a Nation: Art in the Age of Black Power’, on view at Tate Modern until 22 October 2017. 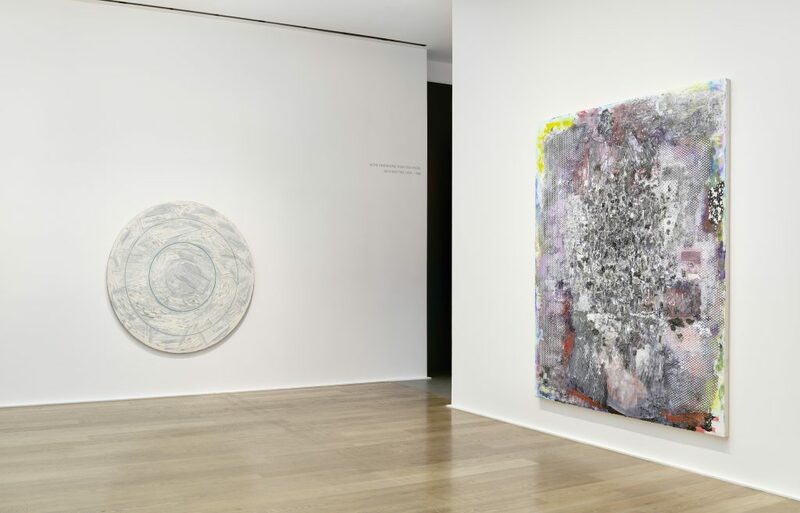 Whitten’s diverse practice bridges gestural abstraction and process art. He experiments ceaselessly to arrive at a nuanced language of painting that hovers between mechanical automation and spiritual expression. 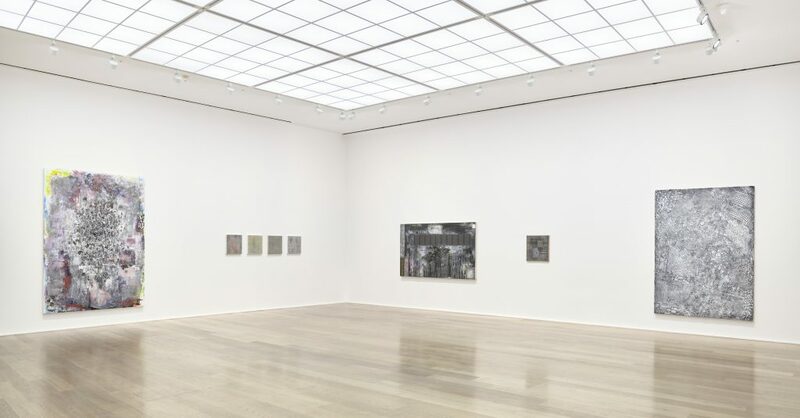 The common denominators across the many phases of Whitten’s artistic practice – which he describes as ‘conceptual’ – are zealous technical exploration and a mastery of abstraction’s potential to map geographic, social, and psychological locations, particularly within the African-American experience. To account for his experimental attitude to materials, Whitten recalls his time as a pre-medical student at Tuskegee Institute (today Tuskegee University) in the 1950s. He once said, ‘[It was] an all-black college where the African-American scientist George Washington Carver did all his experiments. His laboratory is still intact. He was also a painter. I’m convinced today that a lot of my attitudes toward painting and making, and experimentation came from George Washington Carver. He made his own pigments, his own paints, from his inventions with peanuts. The obsession with invention and discovery impressed me’. Uniting Whitten’s work from the period 1979 – 1989 is a process analogous to electronic imaging and photography. Inspired by photographic technology of the time – cathode-ray scanning, radar, electron microscopy – he conceived of his painting as a process of transmission, channelling the subjective qualities of a person, spirit or sense of time and place, through a coded repeatable unit. Hence, we see the dedication of certain works to notable figures, such as novelist James Baldwin and artists Norman Lewis or Andy Warhol. Whitten articulates his approach to abstraction in photographic terms, saying, ‘I maintain that abstraction is a symbol. It’s very much like holding a camera. I can direct it toward any symbol that I choose. As a painter, I have to locate that symbol in the paint, as opposed to giving an illustrated narrative. The narrative content and the figure are still in there – they’re built into the paint’. In 1980 a fire devastated Whitten’s studio, resulting in a three-year hiatus in his practice. 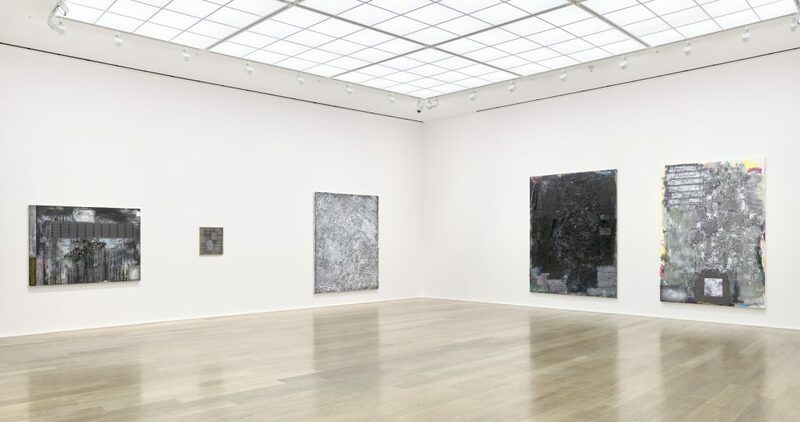 In 1983 The Studio Museum in Harlem, organised the exhibition, ‘Jack Whitten: Ten Years, 1970 – 1980’ curated by long-time champion of the artist, Henry Geldzahler. 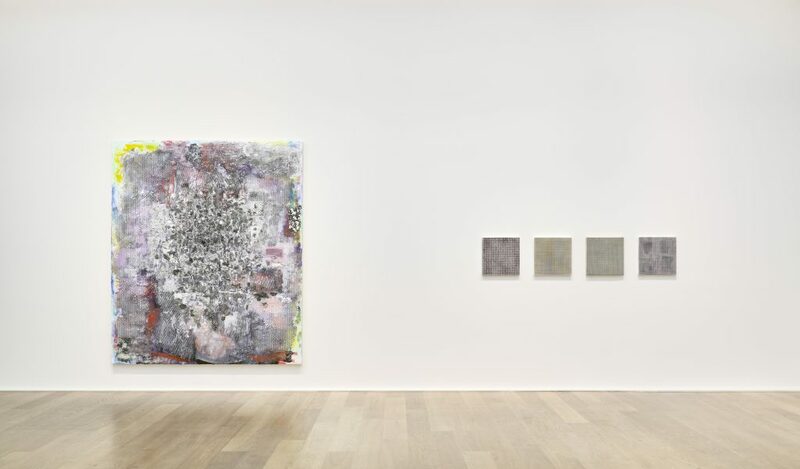 With the prospect of a new show, and aided by Geldzahler’s curatorial reflection, Whitten’s return to the studio ushered in a prolific new phase of painting – he returned to the gesture of the hand, working with small, self-designed tools and reintroducing the paintbrush. 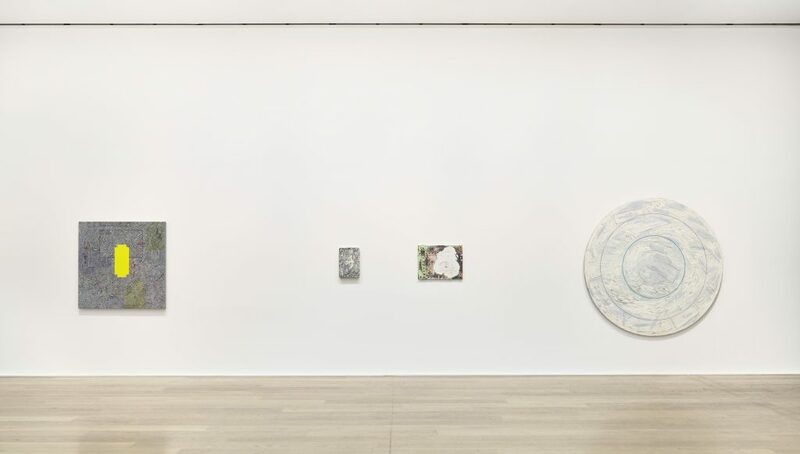 He began by developing a series of circular oil and acrylic reliefs that call to mind systems of celestial navigation. Using a trammel head, Whitten incised arcs, lines and concentric circles into quarter-inch-thick acrylic planes. The dashed lines reveal buried layers of primary colour underneath a large swathe of black or grey, as if to offer a glimmer of a hidden cosmos. 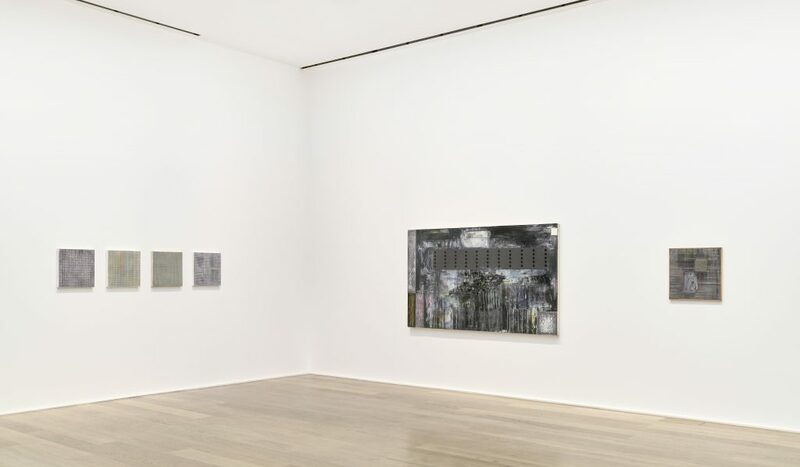 The artist describes these works, including ‘Annabelle II’ and ‘To My Valentine’ (both 1984), as ‘just explosive – geometry and a lot of gesture’. 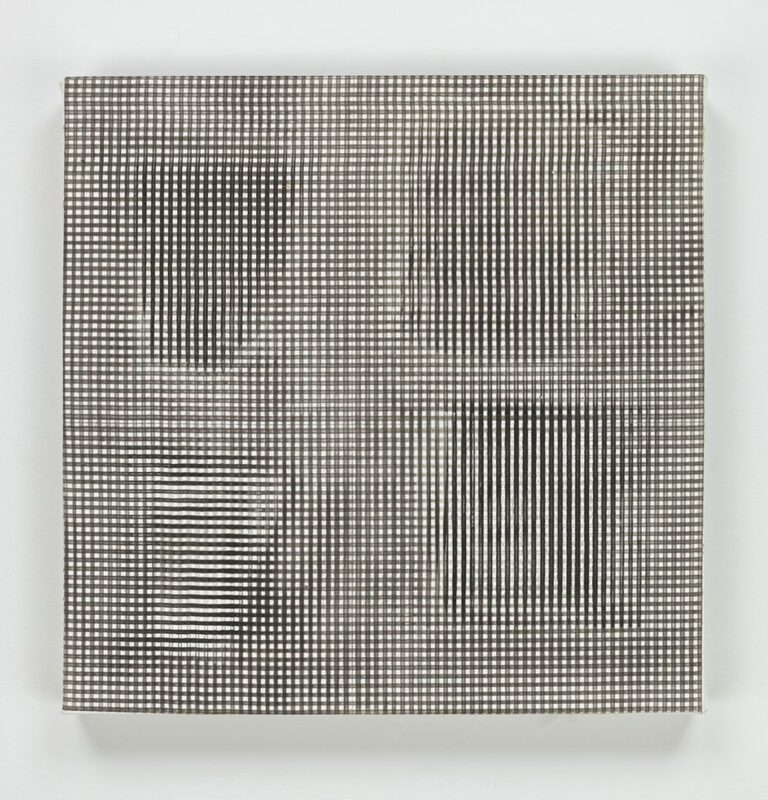 1985 saw the artist introduce wire mesh netting as a tool, using it to create a grid on wet acrylic. Each small square is coloured individually, creating a canvas that flickers like a distant metropolis. Its pixel-like elements derive from grids designed for electronic scanning. In ‘Norman Lewis Triptych I’ (1985) a palette of green, red, white and blue evokes both the US and the Pan African flag, and the seemingly illuminated grid performs a Lewis-like dance across the surface. The artist would return to a similar use of units of colour in the late 2000s with a series titled E-Stamp. 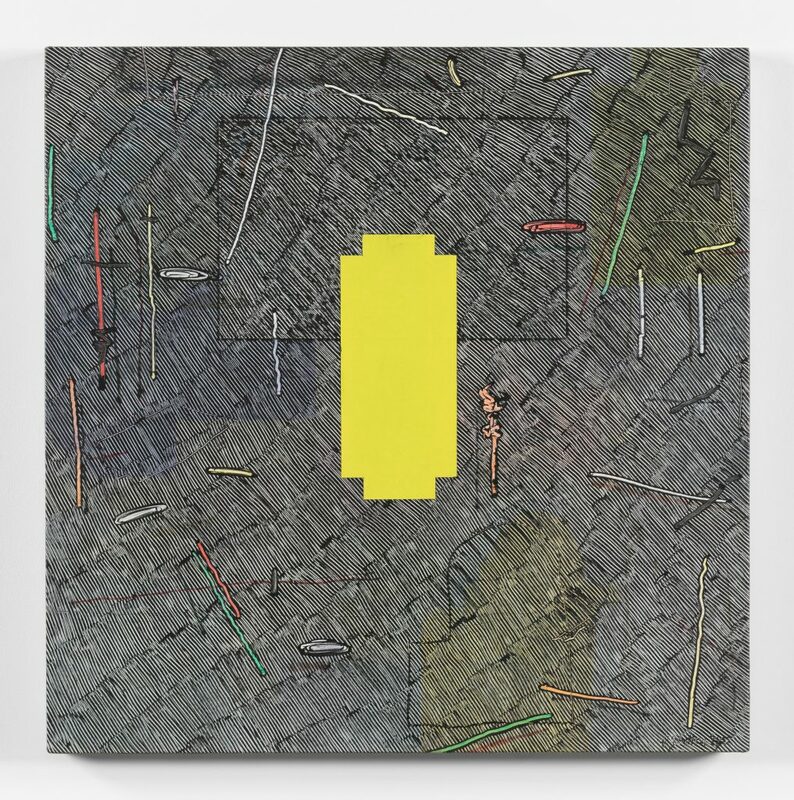 Whitten refers to his DNA paintings as having ‘a unified surface that opens to multi-dimension’, which seems to describe a raster (a pattern of parallel scanning lines followed by the electron beam on a television screen or computer monitor). Curator Richard Shiff explains the artist’s process for this series saying, ‘like a light-sensitive photographic film, a pictorial raster awaits its activation, as if differentiated tonalities might be projected from within the surface as much as from without. Whitten generated a raster by applying a grey slip over existing abstract imagery and then raking the slip in a horizontal direction to create a set of lines that, from above, ‘developed’ the image below. He repeated this process vertically to complete the grid. The grid of parallel lines connotes the raster of an electronic imaging system; in contrast, the scattering of variant greys beneath the lines resembles the irregular distribution of tone in the emulsion of analog photography’. The raster and image compete for visual attention as one and the same surface, resulting in a painting with strong photographic depth. In ‘DNA III’, ‘DNA X’ and ‘DNA XII’ (all 1979) it is as if a layer of netting obscures a blurred vista beyond. Also during this period, Whitten first conceived of the surface of his painting as ‘skin’, associating the incisions and marks with keloids (scarring after skin is cut). 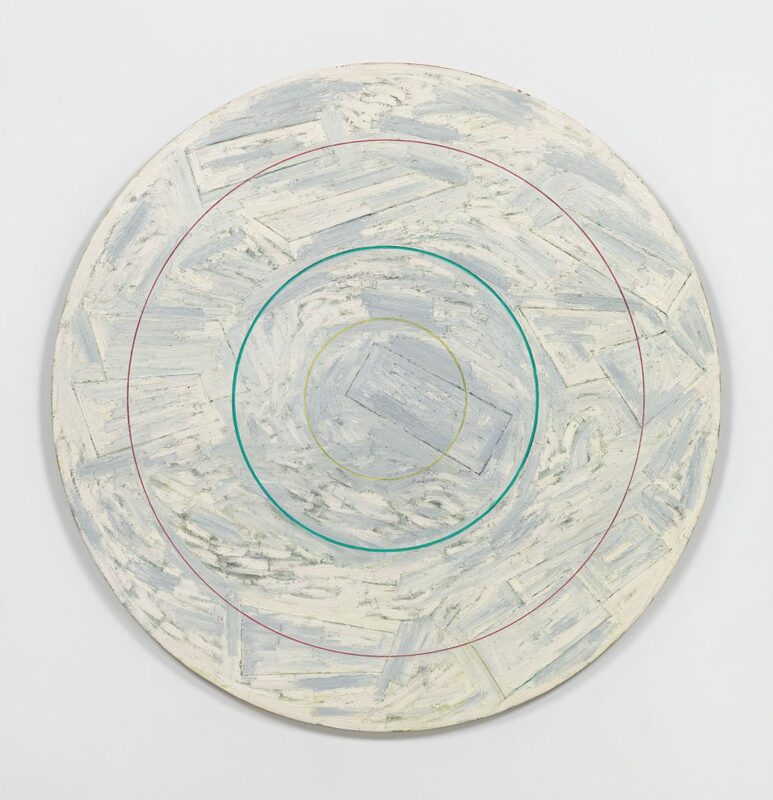 Whitten would apply the concept of ‘painting as skin’ to objects, and he developed a series of collage-like reliefs from acrylic castings of objects and surfaces he scavenged from around the city – using plaster of Paris he would take moulds from man-hole covers, car tires, and walls that were later cast in acrylic paint. Titled ‘site paintings’, for Whitten these works are complex topographical maps of the urban landscape. The matrix of lines and shapes incorporate, and figuratively recover, lived experiences and histories of the urban environment. In works such as ‘Site I’ (1986) and ‘Site IV’ (1986), the mottled texture and monochromatic colour palette create the illusion of shifting planar space and set the relief surface in motion. The brightly coloured, vibrant works ‘Ode To Andy: For Andy Warhol’ (1986) and ‘Willi Meets The Keeper (For Willi Smith)’ (1987) illustrate an evolution with this technique. Here the castings are layered and set amongst other fragments of cured, acrylic paint that function as a dry palette, and the cast forms lean towards abstraction. 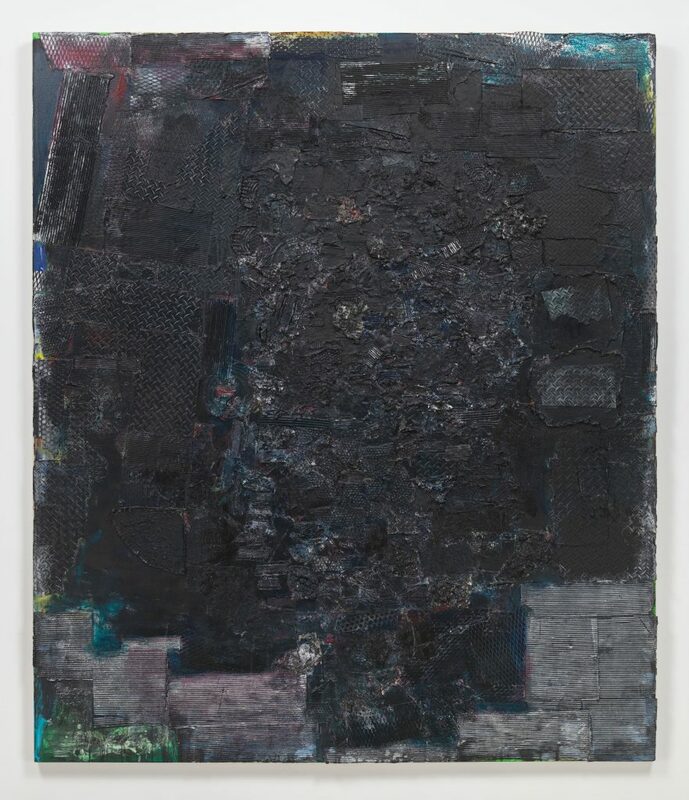 Recalling this technique Whitten says ‘I’m dealing now with paint as a collage, paint as sculpture… I don’t paint a painting, I make a painting’. Animism is founded on the belief that a supernatural power organises and animates the material universe – the Spirit needs Matter to manifest itself, whether that be in nature, flesh or art. Whitten grew up within the Black Fundamentalist Church where animist religious beliefs were not a formalised system of belief condoned by the Church. However, being sensitive to spiritual vibrations, he absorbed the animist presence of spirit as a fact of being. When speaking on this subject in 1998, Whitten said, ‘We are familiar with things being either / or, abstract or representational, but there is a third order out there… an image comes out of matter… I’m aware of something being caught in that matter… There is a relation here when I speak of spirit and matter… it is possible to direct something into that matter’. In the Site works, paint becomes light and matter in one – the low reliefs capture more light than a flat surface, conveying a unique sense of place. By building and embellishing the surface of the canvas he gave the form of low sculpture relief to the animist principle. 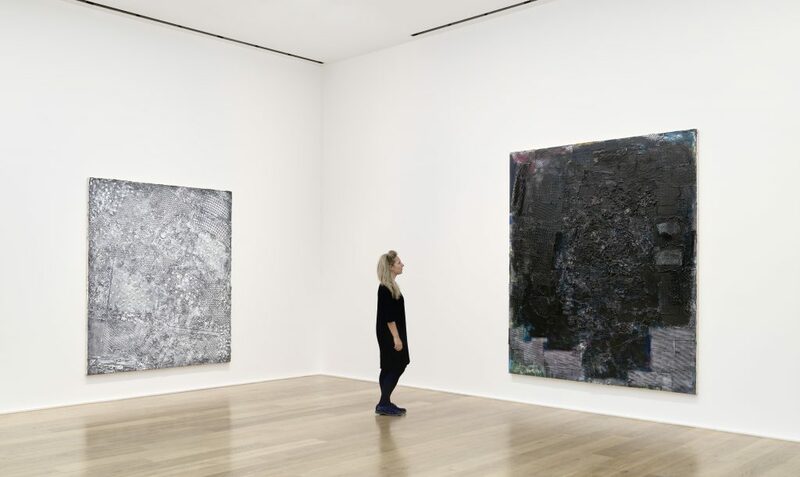 This is in contrast to the artist’s earlier paintings for which he pushed aside layers of paint to release streams of light and energy seemingly trapped beneath the surface. Whitten’s interpretation of animism is at the heart of his contribution to post-war contemporary art – he extended the vocabulary of modernist abstraction to include a deeper, more spiritual experience of contemporary life. Acrylic on canvas, 106.7 x 106.7 cm / 42 x 42 in Collection of James Cross. Acrylic on canvas, 243.8 x 208.3 cm / 96 x 82 in.